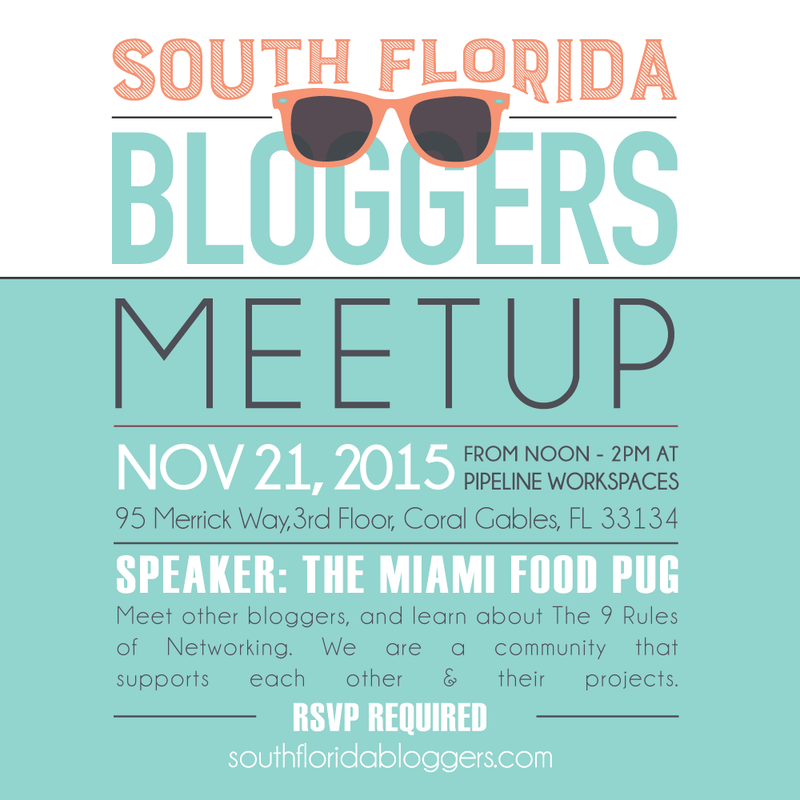 We’re so excited about the November South Florida Bloggers Meetup! On Saturday, November 21, 2015, starting AT NOON, we will have guest speakers Geoffrey Anderson & Dianne Rubin from The Miami Food Pug. If someone knows about networking it’s The Miami Food Pug – they know everyone in town, and most importantly, everyone knows them. They have built long lasting professional relationships with PR agencies, restauranteurs, fellow bloggers, and many other people in the community. They will be breaking down their stellar networking skills into 9 rules for us! 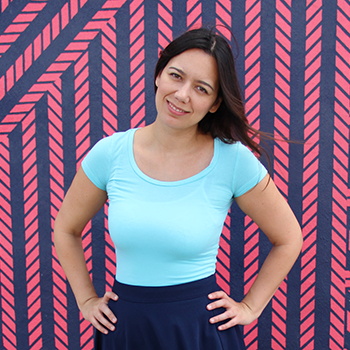 Miami Food Pug is an award-winning food blog dedicated to all things local food and pugs. Winner of the 2015 Johnson and Wales’ Best Food Blog ZEST Award, Miami Food Pug highlights upcoming restaurants in the Magic City as well as old favorites. Dianne and Geoffrey indulge in each neighborhood’s most delicious dishes and interview chefs and owners to get a better understanding of what drives them to open up in Miami’s fierce food scene. They also just really like pugs. In the 9 Rules of Networking, Geoff and Dianne will share their networking and marketing tips for getting your blog noticed, building strong professional relationships and extending your website’s reach – both online and offline. Thank you to Pipeline Workspaces for hosting our November South Florida Blogger Meetup.